Google has been continuing to develop the new Google Assistant, their answer to Siri on the iPhone, Amazon’s Alexa, and Microsoft’s Cortana. The Assistant is an AI based program that can communicate with your phone to accomplish all sorts of tasks, keep you organized, and entertain you. The Assistant is now a stand-alone app on iOS devices and runs automatically on any Android device running version 6.0 and higher (Marshmallow and Nougat). Here’s a quick video giving you the rundown. If you have an Android phone, chances are you have it and have never used it. While the tool is a personal assistant and is intended to be used by the individual, it really has some fun features that would fit great in the classroom. Google Assistant works by responding to your voice. Simply say, “OK Google…” or “Hey Google…” and she will start listening. Then you can give her commands like “Play The Lumineers on Spotify” or “What time is the sunset tonight?” or “Remind me to pick up milk on the way home.” The list of things she can do is pretty amazing, and it really helps to explore what GA can do for you. 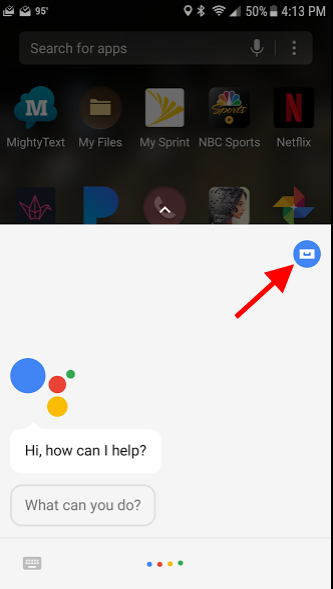 Once you open the assistant, click on the small blue circle in the top right corner. 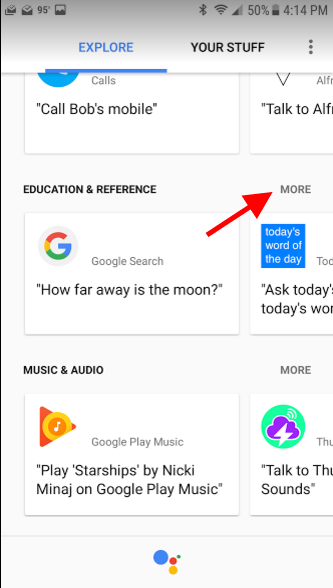 This is the Explore button for the Google Assistant. 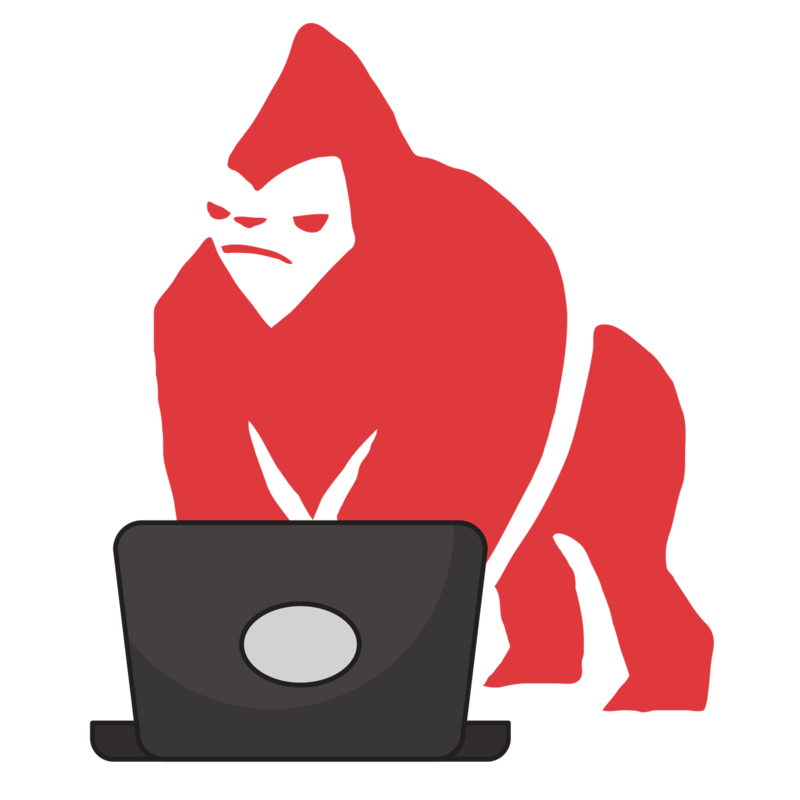 By clicking there, you have access to settings, things you’ve already asked, and you can browse through all of the things GA can do. For teachers, scrolling down just a bit brings you to the Education and Reference section. There are some really cool things that you can do in there and by clicking “More”, you can scroll through the connected apps, games and programs that GA can manipulate for you. If you say, “OK Google, read me the news,” she will begin playing recorded news snippets from the news outlets you choose. To choose what will be played, go to the Explore area, click on the three dots in the top right corner and select “Settings”. Then choose “News”. From here you can scroll through and choose the news outlets you would like to hear played. Each of these outlets records a short news summary, so you don’t have to listen to the news in computer voice. You can choose reports in basic news, or you can get more specific and choose business, science, tech, entertainment, and more. Also, you can tell Google which news to play by saying “… read the news from NPR” if NPR is one of your chosen outlets. This is a great way to get a social studies or science class started, and it can definitely be a good way to bring current events into the classroom if it is applicable. You can also play the built in trivia games like Math Trivia or Sports Trivia. She’s also already set up with a Geography Quiz, a Smarty Pins game using Maps, a Vocabulary Quiz, and an Entertainment Quiz. Just ask her “What Trivia games can you play?” They are interactive and fun for everyone. Google Assistant allows you to create shortcuts so when you say a specific thing, an action will be performed. For example, you can say, “OK Google, it’s time to read” and have it play a reading song from your Google Play Music while your students get situated. To set this up, go to the Explore button, then “Your Stuff” and scroll down to “Shortcuts”. Then you can add your own or choose from their list. This is a great tool for repeated actions. You can even have Google send text messages or emails based on a shortcut. Ask Google to beatbox for you, and she’ll lay down some sick beats. 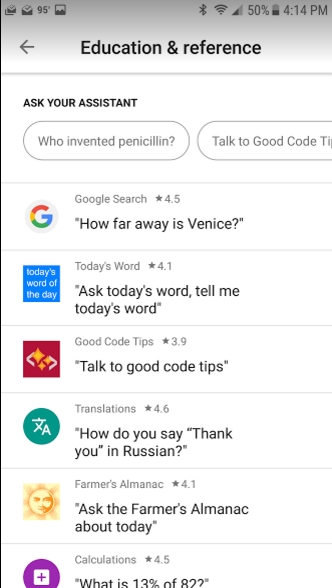 There are tons of fun things that the Google Assistant can do, and the list is growing constantly as more and more apps get connected. Let me know if there are things I didn’t mention that teachers would love to know about Google Assistant in the classroom.